Last fall I read George MacDonald’s The Highlander’s Last Song: a beautiful book if you read it for the descriptions of the Scottish landscape and life, and for the romance. When I read it, I was trying to enjoy some easy fiction instead of deep theology, but my discernment alarms started to go off when he wrote about the Cross. Tonight, opening Tag Surfer on WordPress, I came across this post (and sermon link – advertised as only 14 minutes) titled, The Cross. The author begins, “The Father was not punishing Jesus in our place on the cross.” In the fourteen minute sermon, though he uses several Bible verses, all of them are taken out of context, contexts which usually include a reference to the blood of Christ taking away our sins, redeeming us, etc. I felt at one point like there was a blow to my heart, when he reported that at the Crucifixion, Jesus and God cheered and celebrated. 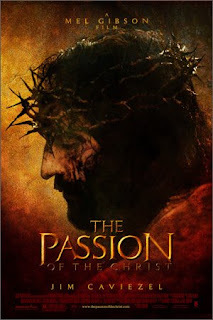 So much for man of sorrows, and sweating blood in Gethsemane. And the whole way through this horrible, deceptive sermon, this man is associating the biblical view of the Cross and atonement with darkness, with a shackled and blind and guilty perspective of our own that we project onto the Cross, creating a mythology. That is not true! The Bible teaches clearly that Jesus had to suffer and die on a cross so we would not have to die. He is the propitiation, the sacrifice, the lamb, the substitutionary atonement, the righteous fulfillment of God’s wrath against our sin. By His stripes we are healed. The wonderful young men over at Elect Exiles have been doing a wonderful job reminding their readers what the Cross was. Come on, readers; click the links!! I saw this idea on another blog, and thought that since I’m so negligent of keeping my own list, I’d try to post for you all what books I read through the year (on this one page) and whether I recommend them. As a matter of fact I have just catalogued all the books in my room like Gretchen and Natalie and YLCF blogged about, and I have over 300 (and a few duplicates to give away!). What did you read? Share in the comments, or link to your website if you have a similar list! One can read over the brim of one’s cup, just as Treebeard the Ent studied Merry and Pippin in his mountain home over his entdraught in Middle Earth long ago. Such was I doing when I stopped thinking about the words and became more attentive to the taste in my cup. I was drinking a vanilla chai tea latte, hot, and slightly watered down due to my lack of tablespoon at work. The flavor is one of the new things introduced to my life in a year that is rapidly flowing to its end. I like it. But I miss hot chocolate. Not that I never drink chocolate anymore. That I drink chai tea when I would have been sipping cocoa is undeniable. Life has changed. My tastes have dutifully broadened as an expected part of growing up. If they are broadened, they are also dispersed. Now the intensity of my appreciation for chocolate is tempered by my acceptance of vanilla chai tea. Would my life be better if I had refused to taste chai tea? If through loyalty I remained zealous for chocolate alone, could I still be a grown up and still be happy? Would I be happier? Life is a choice whether to try new things. Once surrendered to a new pet topic, to the diminution of my former sole passion, my experience says there is no possibility of returning to a single-passion life. A new opportunity arises, and if I am consistent, is tried. Causes ebb and flow, wax and wane now, each replacing the last for its moment in the spotlight. I haven’t really written anything in a while. Inspiration departed. Whenever that happens I get borderline depressed, because life seems to have lost its flavor, and my passion for each moment has waned. I don’t like drifting, shallow waves of life lapping around an unresponsive me. Leaving the metaphor, though, I keep on doing things: going to work, talking to people, checking email. Even genuine smiles come to my face. Now, slowly, I think I’m coming out of my doldrums. A week ago Saturday night, I completely spontaneously saw a movie, August Rush. There were so few people in the theater, and I was so tired. Reclined in my seat, I tilted my head against the back of the cushion, and absorbed a beautiful movie. The soundtrack was uniquely expressive, imposing its presence and importance. Music spoke in the movie. It communicated identity, feelings, direction, summons, friendship, longings, and fulfillment. Afterward I escaped the scent of popcorn into a fresh midnight wind. The air was too cold to linger, but I breathed it deeply, and memorized its touch on my face. I felt the cold and the current. My brother and I talked of how we love things and moments with feeling, and flavor. They say something, and mean something. In contrast, the chocolate cake I had just before the movie was bland. The color boasted bursting flavor, when in actuality the taste was dull and muted. Not like fudge, or cinnamon, or grape juice. Those things are so bursting with flavor that they assert their identities. Then a few days later was a day full of feeling, and a sense of doing things important, though everyday. I cried near the end, for a few friends came home. Tears break the walls of the world without passion. That’s the metaphor of George MacDonald’s Princess Lightness. Yet when the walls are down, and I care about what happens around me, when I’m advancing my might on causes and people, there’s the probability that I’ll see the world in reality, and see myself as I am. Couple this to just turning 23, to holidays and old friends, and I am sad now – not depressed, but sad in a sentimental way, in a fightable way. Sunday I went to Red Robin alone. They offered me a free burger for my birthday in exchange for receiving their emails, so I went to redeem my coupon. The staff was nice. I brought a book about grace. And in between sips of a chocolate shake and bites of luscious burger, I observed. The walls caught my attention, bearing an eclectic collection of posters, prints, and photographs. One fantastic picture showed downtown Chicago along the Chicago River in 1929. Already the concentration of sky-piercing towers was a marvel. Chicago is my favorite city. I can’t lay my finger on the reason, only that when I am there I feel alive. Every place is a story; every sound has a flavor; and every person has a style. I love Christmas for the same reason. Each song is a tale, each note a rush of emotion. Every light twinkles mystery into my soul. Altered from its original intent or not, in December the whole country is united in focus. No one asks why the stores all play music about snow, bells, peace, and Jesus. It is understood when you wear red that you’re being festive. Even those who have dropped out of church make it back for the memories of candlelight at Christmas Eve services. So today, especially at Christmas, I want to challenge you to seize the day. Breathe the moment. Live to the hilt. Pursue life. Feed on truth. Praise beauty. Remember. Cry. Hope. Laugh. Sing. Love. This afternoon I spent several hours studying dispensationalism. I feel sort of guilty for not having studied it before, because I have heard of it, and realized that I did not know exactly what it was. After my research, I conclude that I had some right ideas of what it was, and that some who ascribe to “dispensationalism” would say that there was nothing more to the theological system than what I already knew. They would be wrong. I’ve decided not to call myself a dispensationalist because of the “extra” doctrines I did not know, but for which, I suspect, the theologians I respect have not respected the system. Some of the more basic tenets make sense to me, and have been part of my theology for ten years (which is saying something). For example, I believe that God’s plan for Israel is not yet finished, and that some Old Testament promises to Israel remain to be fulfilled. My interpretation of eschatology is literal and contains a pretribulational rapture and literal posttribulational millennium. Finally and least surely held is a fancy that God is glorifying Himself through history by proving through as many different dispensations imaginable that man cannot achieve righteousness or even a pleasant world on his own. For some reason I have encountered many self-professed “Christians” who have very obscure theology. Fortunately God has given me a sure foundation, a logical brain, and a willingness to search things out. As a freshman, I researched free will and secular humanistic transcendentalism. (In other words, the popular beliefs described in That Hideous Strength by CS Lewis, and now promoted by atheists and left-wing activists who want to turn the world into machinery – remind you of the apocalyptic time represented in The Matrix?) Soon I was refuting Sabbath-legalism; defending the Trinity, working out a comprehensive eschatology, studying the applicability of Jewish dietary and feast laws, grasping security of salvation; refuting the Search for the Historical Jesus Peter Jennings special, head coverings, seeker-sensitive movements; investigating house churches, and understanding predestination/Calvinism. Most of these are responses to strangers. Honestly, a woman once began a conversation about the impending judgment of God at a thrift store! I have a file in my room of literature people have given me explaining their newly-discovered, minority-accepted doctrines. As a result, I am so grateful, I have a faith and theology that doesn’t get shaken much. God’s grace is in all of this. Without being forced into study by these confrontations, I wouldn’t have any of this knowledge. I want to quote George MacDonald here because I was reading The Highlander’s Last Song late last night and just wanted to share the experience: “Ian was one of those blessed few who doubt many things by virtue of a larger faith – causing consternation among those of smaller faith who wrongly see such doubts as signs of unbelief.” I think my friends and family worry sometimes. Apparently the doctrines I consider are adopted into my theology about half of the time (if you include defending doctrines like the Trinity and eschatology). Let that reassure you if you will. Originally I was going to ask my blog readers (may I hail those from Korea, Ghana, Australia, Canada, the United States, and any other countries I missed!) for their understanding on dispensationalism, but Google had a wealth of information that seemed clear and reliable, though varied. So now I’m going to share what I learned. In some cases I am dealing point by point with the arguments presented to me this morning. What is dispensationalism? Here I have compiled the best explanations Google provided, and their links, so you can look up more information. Other semi-dispensationalists (like me) are John MacArthur and Dr. Henry Morris. Ephesians 3:5 says the mystery is now revealed to “apostles and prophets.” Who are they? There is no indication the text means anything but what it says. “Apostles” generally referred to those left of the Twelve, but also included Paul and some other early believers. Apostleship and prophecy are both listed as spiritual gifts. Though the dispensationalist who spoke to me this morning said that “apostles and prophets” referred to the young pastors and missionaries (like Timothy) whom Paul was teaching via this letter, note that verse 5 says not that Paul was revealing the mystery to them, but that they mystery was revealed to “his” (God’s) holy apostles and prophets by the Spirit. The parable of the 10 virgins speaks to accepting salvation before Jesus returns unexpectedly. It is a parable, and does not address either losing salvation or ecclesiology. Nor is it particularly talking about the church. Get caught up in the story; find the moral of the story; and apply it to Christianity. Parables are not allegories. Jesus was said to have taught on the conduct expected of Jews in the millennial kingdom (thus the emphasis on the “kingdom gospel,” as supposedly separate from “Paul’s” gospel of grace). Since Israel rejected Jesus as their Messiah, and they should have known better from the prophecies, dispensationalists would say the church (and grace with it) has been parenthetically inserted until God resumes His everlasting covenant and law with Israel. However, Colossians 1, Romans 9-11, and Ephesians (the passages submitted as evidence) rather speak of the Church as the one body in which the Jews and Gentiles are unified in reconciliation to God until in the last days God continues his plan specifically for Israel (see Revelation 7). Is grace taught by Jesus? Luke 7:42-43 records Jesus’ use of a derivative of the common word (charis) for grace. He also talked about grace without using the word: “And I give them eternal life…” or “He who hears my words and believes on Him who sent me has everlasting life.” John focuses on this. Eternal life was a gift. Jesus often pointed out that the “good works” and law-keeping that had become Judaism were insufficient for salvation. No man was perfectly good, but he tried to stack up his ideas of goodness against the perfect law of God, who also sees and judges the heart. Still living in the Law system so that He could fulfill it, Jesus consistently pointed out the inadequacy of the Law or of man to keep it. Now that you understand that dispensationalists believe the Law will apply again during the Millennium or tribulation, let me try to explain their take on Hebrews. They (or the man to whom I spoke this morning) would say that Hebrews was written as a manual for life after the reinstatement of the Israel dispensation. It was written to the Jews, and so accordingly is separate from any instructions to the Church. From this they argue that Hebrews 6 does not teach that Christians today can lose their salvation (which would be inconsistent with the rest of the epistles), but that the Jews can. I love Hebrews 6. My favorite part is where it exhorts Christians to move beyond the basics. To me this refutes the seeker-sensitive “conversion”-driven style of church. I need fed the meat of the word, not just milk. Several years ago my pastor taught on the second part of the chapter, the controversial part, which at first glance seems to have nothing to do with verses 1-3. But verse 4 begins, “For,” so obviously the author felt he supplying the reasoning behind those first verses as he continued. I remember that my pastor was arguing that here in Hebrews 6 there is evidence that the author makes an aside, discussing non-Christians who have been among the Church and witnessed God’s saving power, but never actually accepted the gospel for themselves. His Bible interpretation for this passage seemed forced into the mold of his preconceived theology; he was proof-texting much like he did when justifying female leadership in the church. So even though I believe no one once saved can lose their salvation (you did not earn your way in; you cannot earn your way out), I went searching for a more solid exposition of Hebrews 6. What I found was a lot of controversy and stretched interpretations, and one explanation that made perfect sense to me. It was provided by Charles Spurgeon (a genius preacher, and eloquent!). PLEASE read the whole thing. I’m including the following two quotations just to summarize. Truly. His sermon transcript ties the entire passage together. My conclusion is that God always works for His glory. God does have a special plan to use Israel in the world just as He has a special plan to use you and me, except that He published His plan for Israel in His eternal Word. Man is never able to save himself. God has always saved men only by His unfaltering grace! His grace cannot let a man fall from His hand, so there is no loss of salvation. Outside the clear glass door comprising one wall of our kitchen, a landscape speaking of the fading embers of autumn diffused its horizon against pale strata of clouds. No painting I have ever seen captured the ponderous life of such a morning. Nor would an artist seek to inscribe its beauty, for the attraction is in the air that drifts between undecided worlds of color, texture, light, and rest. As if worn out by the vital radiance of her early days, the autumn sways along in a stupor, ready for the peaceful hibernation of winter. Trees mostly bereft of leaves presided over their slain children, today still without a waft of chilling air to stir their brittle stems. Dun grass furled its verdant banners, blades shriveled to hide in the dust until the birth of spring. A front might have been gusting through the reaches of heaven, but stalled in its mission, the blown dunes of cloud hung where its power left them, each its own statement on the threadbare blue sky. Light captured from tangent rays was diverted between the layers, promising the pink of dawn then the subtle gold of dusk, finally covering the whole scene in a vague grey shadow. Not cheerful or motivating; as George MacDonald would say, not pretty, but beautiful. Afraid to release the grandeur of its parent mountains, the dwindling hills on which my house is set would rather be slowly consumed by the tedium of the plains, creeping like the slow tide towards our door. I would sit in the yard, sit and pray, undistracted by irrepressible beauty, for the day is not for walking or doing. Its lure would capture me. What cloaks itself in a nature like this? Quest-calling by its disguise, perhaps the founded waiting is the source of its captivation: in-between-ness, as though retreating to no reality at all in complacent anticipation of crisis and glory. Perception demands I see that the courage and triumph is born of the staid prudence of these hours. Seas do not withstand tempests without concealing beneath, their unheeded depths. JRR Tolkien penned two verses suited by this day, this mood, this verity: “All that is gold does not glitter, not all those who wander are lost. The old that is strong does not wither; deep roots are not reached by the frost. From the ashes a fire shall be woken; a light from the shadows shall spring. Renewed shall be blade that was broken; the crownless again shall be king.” Perhaps a day like this speaks of an exiled king. Tolkien asked of his poem, what king? George MacDonald took a twin scene from the northwest coast of Scotland and asked, “What chief?” What epic story do the silent rocks evoke? If I had joined the tale of the day, would I have glimpsed as the sun rose, the carven head of the fallen king coroneted by prophetic gold-flowered vines, the piercing promise of hope before a bleak pilgrimage? This list will be updated as I 1) read more books, and 2) remember more books I already read.